Famous Moldovan sportsman Ion Lazarenco Tiron was designated the Ireland's best swimmer for the fourth consecutive year. The athlete was included in the Hall of Fame of Ireland, even if he swims with the Republic of Moldova flag. 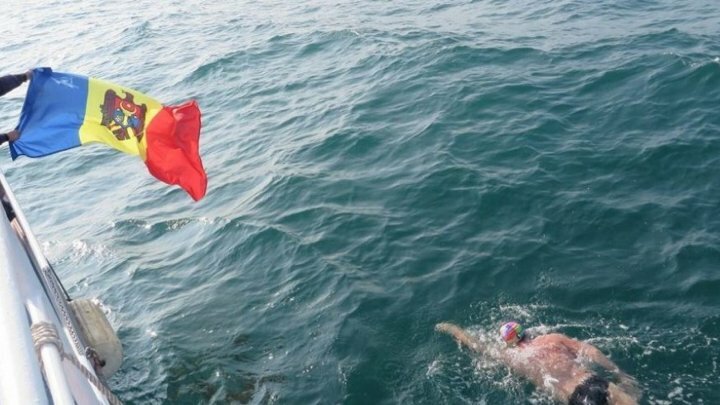 The athlete is the first man in the world to cross seven straits from the first attempt. Ion Lazarenco Tiron was voted the 2018 World Open Water Swimming Man of the year. He was proposed by Prime Minister Pavel Filip for the Nobel Peace Prize. According to the Prime Minister, the athlete promotes peace and unity through swimming. During a meeting, the athlete was awarded the Diploma of Honor of the Government. In an inspiring speech of his, Ion Lazarenco mentioned that Moldovans can be optimistic about the future as we are able to do special things.